This picture has a rare story. 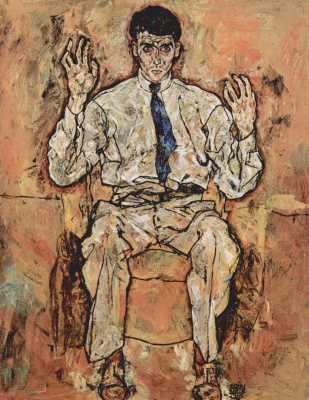 Quite rarely, works by recognized artists are put up for auction straight from the museum halls. BUT "Houses with colorful linen" in 2011 came to the Sotheby's auction house from the museum. 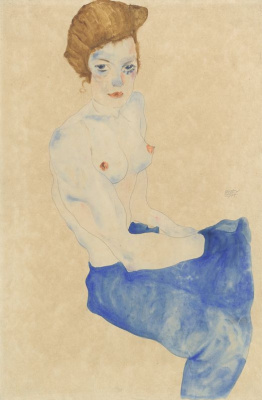 The private Viennese Museum of Leopold broke up with this canvas in order to pay for a restorative claim. 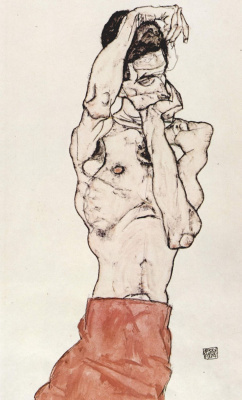 A tangled affair that began with a completely different picture of Schiele. Rudolf Leopold, the founder of the gallery, received some valuable exhibits immediately after the end of the Second World War. 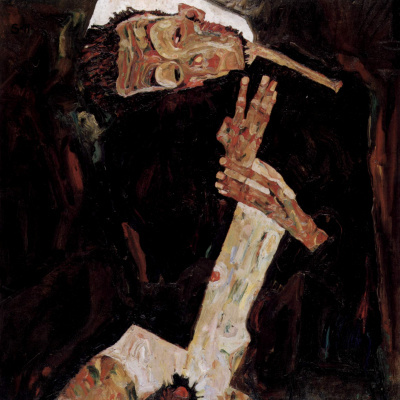 And it is not surprising that among the paintings acquired by the collector were lost, stolen or confiscated from Jews who were forced to emigrate from Austria in the 30s. 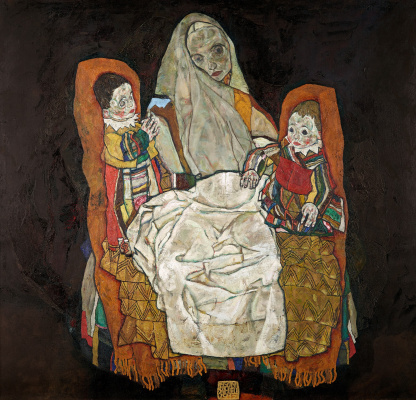 And in 1998, the heirs of the Austrian Jewish woman Leia Bondi Yarai presented their rights to the picture by Schiele "Portrait of the Valley", which before the Nazis came to power was in a private collection in this family. Rudolf Leopold always insisted on honest relations with the masterpieces acquired once, and therefore to keep the controversial paintings in the exhibition was a matter of honor for him. 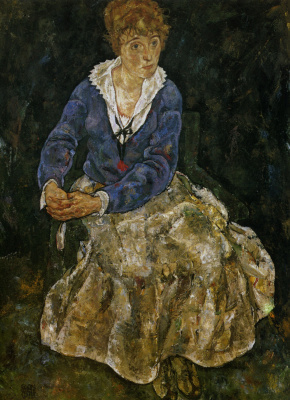 Relatives of Leia Bondi Yarai were offered $ 19 million for the painting to remain in the museum. And the heirs agreed. 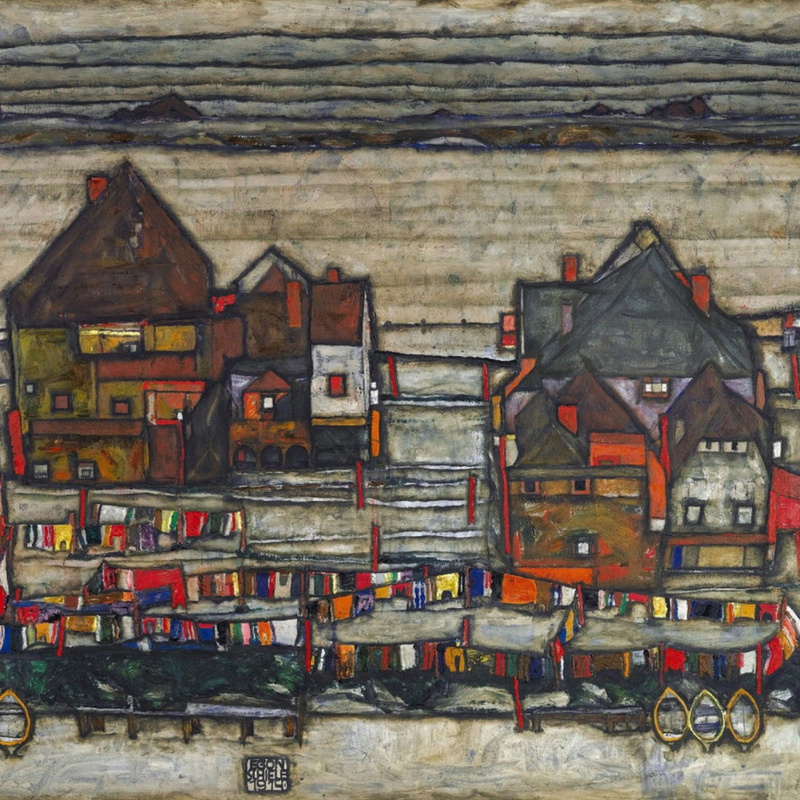 To pay this rather big amount to the Leopold Museum, one of the most visited museums in Vienna, had to part with another picture Schiele - "Houses with colorful linen." But with this picture, everything is clean - she has the perfect provenance, and now also the price record for the artist's work. In 2011, “Houses with colorful linen” became the most expensive painting by Shile and cost the new owner $ 40 million. 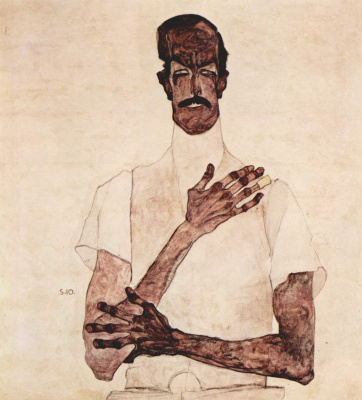 There are very few landscapes in Schiele's works - and almost all of them are on display at museums. "Houses with colorful linen" - one of the best. This is a memory of the artist’s stay in the town of Český Krumlov, where his mother was born and where Egon Šile fled from Vienna’s bohemian life with his girlfriend, Valli Noойciel. True, they did not live very long here. Unusual couple, living without marriage, residents literally expelled from the city: collected signatures and expelled. Nevertheless, it is this medieval town in which history has frozen, became the main character of the urban landscapes of Schiele. 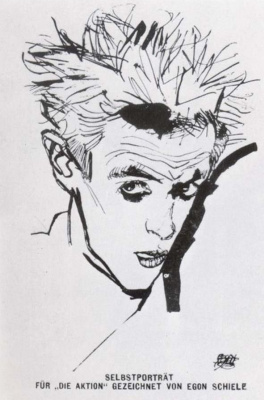 Or rather, not the city itself, but the impressions of it. In the images of Český Krumlov there are no topographical coincidences with real places, art historians tried to find coincidences, but in vain. 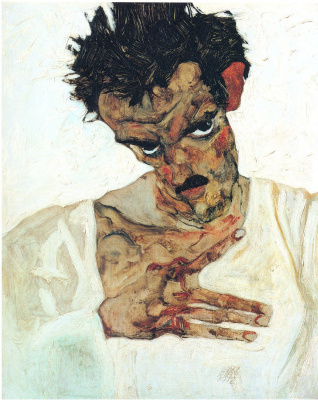 But here there is a favorite look of Schiele on the world - from the point of view of either a bird or heavenly bearer - from above. The artist also liked to draw his naked women - he climbed the stairs with paper or canvas and made sketches of a model for a canopy. Rising above the city or above the woman, Shile takes with him to heaven and the viewer - to see the world differently.